Today we start the second big radio week at Mediaweek. After detailed analysis and features around the results for survey five last week, we now dig even deeper and present new data and insights about every commercial station around Australia. The ambitious plan starts in Sydney this week with a look at the market leaders. The last two survey results have been the best in over two years. Survey wins: Alan Jones has been #1 for 213 surveys. Ray Hadley has won 114 consecutive surveys. Alan Jones reminded listeners today how powerful his program is with an exclusive 30-minute interview with Australia’s new prime minister Scott Morrison. Jones will also be a guest on the ABC’s Q&A tonight and he is a regular Sky News contributor too. Jones got involved in the Save Watsons Bay movement today and interviewed local resident and Oscar-winner George Miller about moves to hand over public spaces to private enterprise. Ray Hadley too did well in survey five posting a record high 19.0% share. 2GB’s key demos were really humming last survey too – 55-64 up 3.4 to 19.0% and 65+ up 0.3 to 32.7%. • Nights with Steve Price #1 in Nights (Monday to Thursday 8pm-12am) with 17.7%, and Luke Davis #1 (Friday 10pm-12am) at 18.8%. • Overnight with Michael McLaren #1 in weekday Overnights (12am-5:30am) with 19.7%. • Weekends #1 overall (6am-6pm) with 13.6% including The Garden Clinic, George and Paul and the Continuous Call Team. • George and Paul #1 on Weekend Mornings (9am-1pm) with an increased share of 17.2%, up 2.8%. “We are absolutely delighted that News Talk 2GB 873 has again been awarded the position of the number one radio station in Sydney. 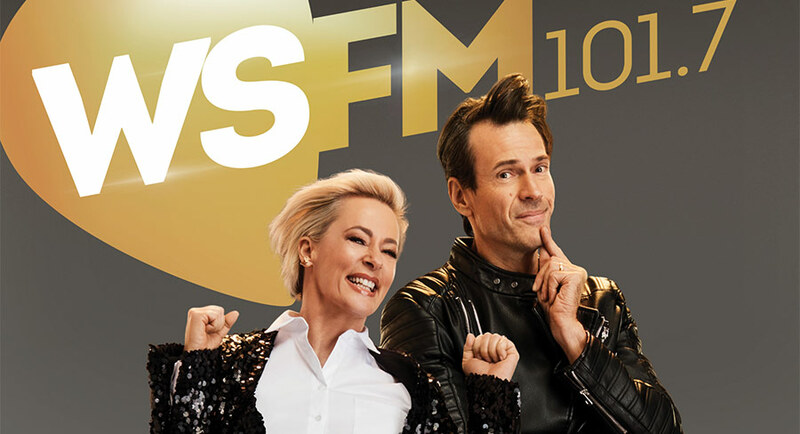 114 consecutive survey wins show that 2GB continues to earn the premier status of being Sydney’s favourite radio station. This is the highest result for the station in over five years and we thank our listeners for their continued support. This ARN station just keeps getting stronger with record shares 10+ (11.3%) and in breakfast (10.3%). Jonesy and Amanda have pushed ahead of Kyle and Jackie O to be #1 FM with a lead over their ARN stable mates of 1.0. This morning Jonesy and Amanda started new competitions, one of which will culminate with a car giveaway this week. In addition to the regular features the show today offered Munce’s guide to rap music, which was lots of fun. The two hosts have a on-air relationship as good as or better than most breakfast teams. On Sunday Jonesy actually dropped in on his co-host at her Eastern suburbs home to check out her new kitchen. This led to an interesting discussion/debate about dishwashers this morning! Share jumped right across the day at the station this survey with Jason Staveley in drive up 1.6 to 9.9%, where he is #2 in Sydney drive overall. Weekday morning host Mike Hammond was up 0.6 to maintain FM leadership on 13.2% while afternoons with Steve Fitton did 14.5%, a jump of 1.4. The cool kids seem to be liking Jonesy and Amanda and the music mix with share 18-24 up a staggering 10.9 to 18.5%. That’s a bigger share than the station gets 40-54 and 55-64. Expect that demo to resume normal service in future books. ARN national content director Duncan Campbell told Mediaweek: “The momentum for the station has continued to build. The fantastic breakfast result for Jonesy and Amanda has been mirrored across the workday where the figures are also extraordinary. Nova Entertainment’s successful drive show Kate, Tim and Marty “marches to the beat of its own drum”. This is how the executive producer of the program, Nic McClure, described it. The long-time radio producer has served as EP on a number of successful radio shows but was most recently on KIIS 106.5’s Kyle and Jackie O show. She made the move back to Nova in 2017. “It’s a full circle moment because I was producing the drive show when Nova launched in 2001,” McClure said. “I was working with Ugly Phil, before I went onto EP Merrick and Rosso. 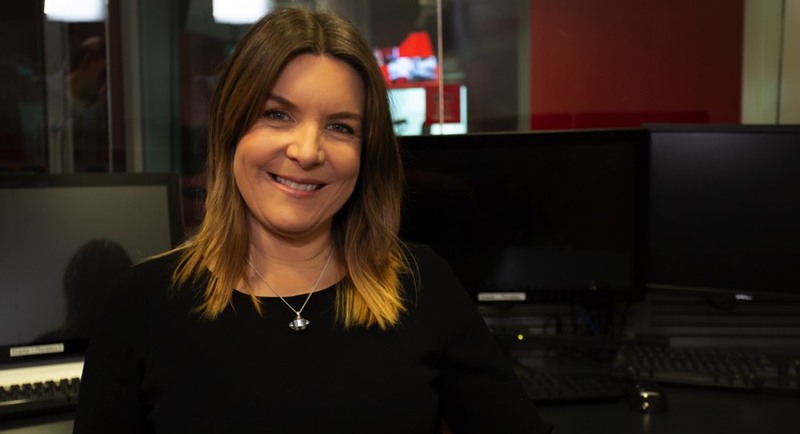 Apart from her history with Nova, McClure also has a history with the drive presenters Tim Blackwell, whom she labelled as her “co-EP”, and Kate Ritchie – she has worked with them in the past. However, this is the first time she has worked with Marty Sheargold, though she has followed his work previously and said she was a fan. She wouldn’t be in her current job had it not been for a coffee catch-up with Nova Entertainment program director Peter Clay in late 2016 or early 2017. Since the last time she spoke to Mediaweek, in 2016, McClure’s morning alarms have changed from 3:15am to 6:45am. While this is still an early morning for many, it is a luxury McClure didn’t previously have during her years in breakfast radio. “I can practise the cello in the mornings too,” she said. The day Ramsay St fans have been waiting for is finally here. 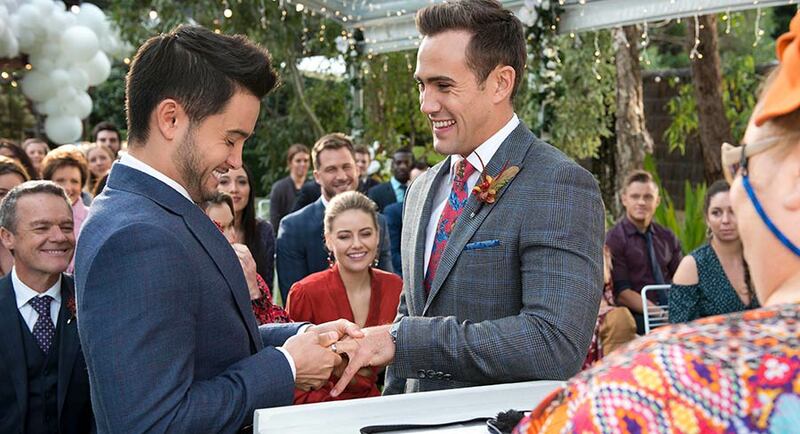 David Tanaka will marry Aaron Brennan in an emotionally charged, iconic episode of Neighbours tonight at 6.30pm on ELEVEN. 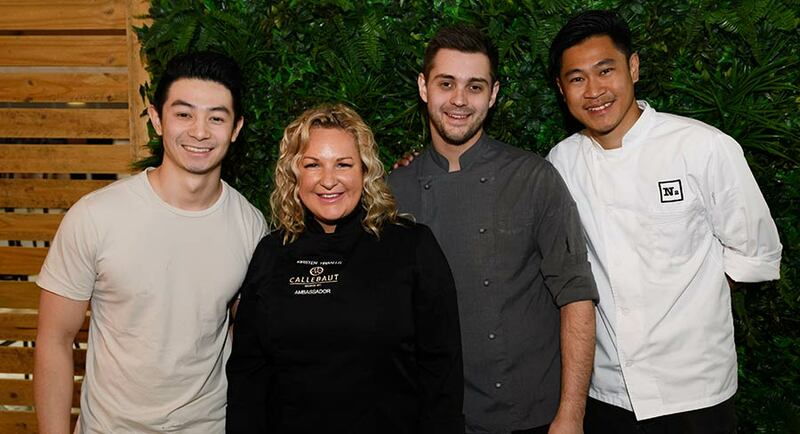 The nuptials of David Tanaka and Aaron Brennan will be led by television and film actress, comedian, writer and one of the most prominent faces of the Marriage Equality campaign in Australia, Magda Szubanski. Neighbours actor Takaya Honda, who plays David Tanaka, said: “It is an absolute privilege to be a part of what is and will be a historic moment in Australian television. In true Neighbours style, their journey to marital bliss isn’t without last-minute disasters, injuries and family drama. The wedding of David and Aaron will air tonight at 6.30pm and continues tomorrow on ELEVEN. 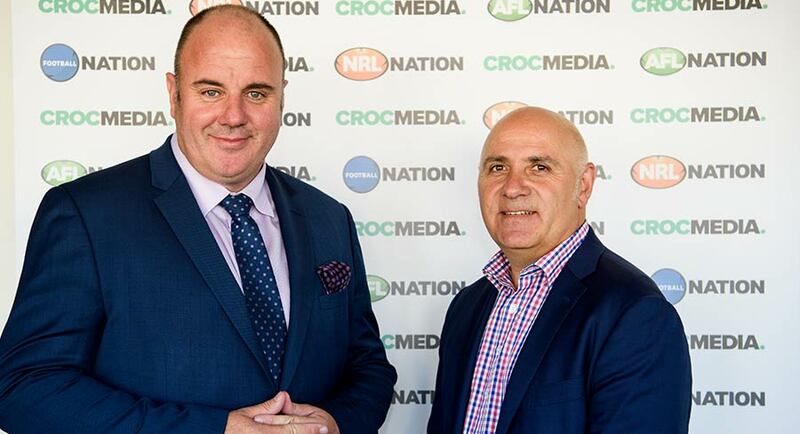 The new-look Pacific Star Network has released its first operating and financial results after merging with Crocmedia earlier this year. Broadcasting: including owned radio platforms and broadcast partners’ radio network, which leverage sports and entertainment content. Publishing: including production and sale of magazines, subscriptions and merchandise from frankie press and AFL Publishing. Complementary Services: including events and entertainment services (talent management, television production, boutique creative agency). The financial results comprise 12 months of Pacific Star revenues and a three-month contribution from Crocmedia. The company reported a net loss after tax of $2.986 million compared to the corresponding period (2017: $7.341 million loss). The underlying net profit before tax (excluding the impact of significant items $4.227 million) was $1.632 million (2017: $1.769 million). Total revenue (excluding non-sport revenue) was up from $15.3m in FY 2017 to $24.7m in FY 2018. The underlying EBITDA for the two years lifted from $1.7m to $3.0m. The company detailed that, if one-off costs relating to the merger were excluded, that EBITDA figure lifts to $3.7m. Pacific Stat will release an investor presentation later this month with commentary on the results, details of organic growth initiatives and strategic investments plus an outlook giving guidance on the financial year ahead. • expanded in-stadium advertising (LED signage and big screen) and hospitality inventory at Optus Stadium (Perth), Adelaide Oval and GMHBA Stadium (Geelong). Two recent strategic investments were acquiring the AFL publishing business and a 25% shareholding in Melbourne United basketball club. 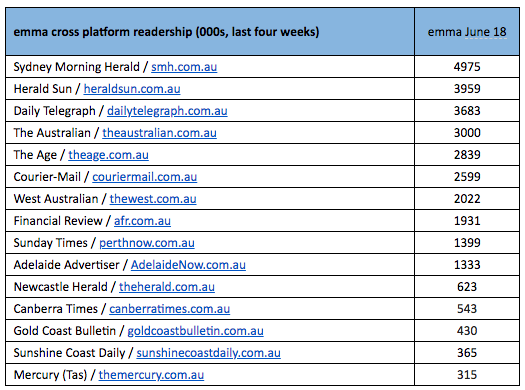 National newspapers continue to lead the growth in news media, with nationals’ print readership up by 2% year on year, and total sector digital readership also growing by 2%, according to the latest emma (Enhanced Media Metrics Australia) data for June 2018. Almost nine in 10 Australians (89% aged 14+), or 16.3 million people, read news media across platforms in June. News media readership on digital devices such as smartphones, tablets and laptops rose by 2% to 13.2 million, or 72% of the population. Newspapers are read by 67% of Australians, or 12.2 million people, each month. Metro newspapers were read by 10 million people, or 54% of consumers, in June. Regional and community news media brands are read by 6.3 million people, or more than one-third of the population (34%). In addition to the industry currency readership data, emma CMV provides valuable insights into Australian consumers’ product purchases, behaviour and attitudes. This data has found that the trend towards using mobile phones to access the internet continues, with mobiles set to become the most-used device by the end of 2018. Eight in ten of the 13.2 million digital news media readers use a mobile for general internet access and while this number is still surpassed by computers and laptops at 83%, mobiles will grow faster. Tablets are used by 46% of digital news media readers for internet access and readers use an average of 2.4 devices to access the web. 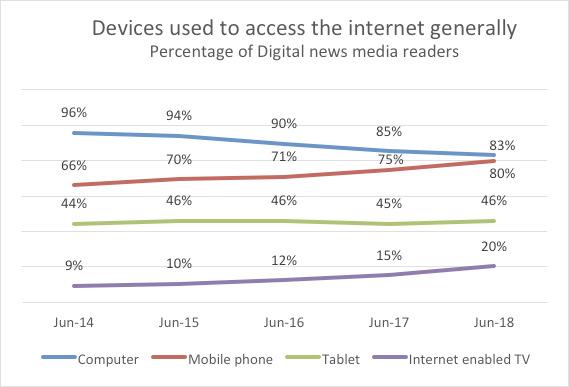 Among digital news media readers who “read news online yesterday”, 59% used a computer, 47% used a mobile phone and 25% used a tablet. “Our news media sector is well placed to capitalise on the extraordinary growth in mobile usage, given our publishers pioneered the move to news websites and continue to command large and engaged audiences. The emma data is both independently audited and credible, and neither adjective applies in relation to Facebook’s recent outrageous audience claims. According to Facebook, it has more users than the population, which advertisers would agree is an unmatched achievement,” NewsMediaWorks CEO, Peter Miller, said. This is the fourth month of emma cross-platform readership data to come from Nielsen, in a new strategic collaboration announced in May. 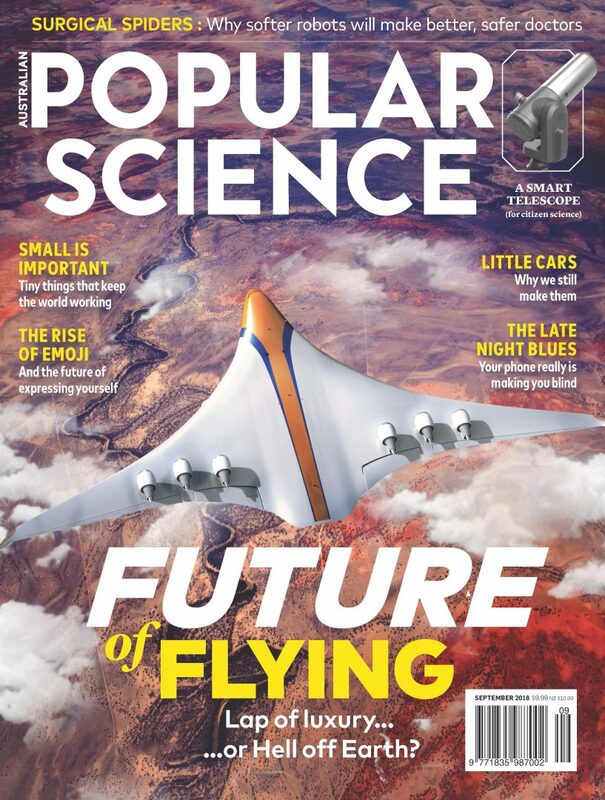 Under the new arrangement, Nielsen leads the fusion process that brings together the industry-accredited print readership data from Ipsos and Nielsen’s IAB-accredited digital audience data, to deliver a total audience readership. Nielsen Consumer & Media View (CMV) is fused to the emma Cross Platform data to provide critical product and attitudinal data. The Sydney Morning Herald is Australia’s highest-reaching title across all platforms with 4.98 million readers. The Herald Sun followed, reaching 3.96 million readers and The Daily Telegraph on 3.68 million. 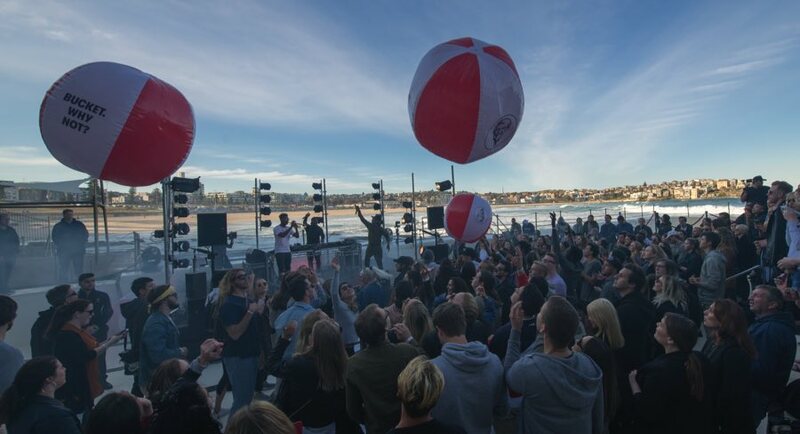 English band Rudimental surprised 250 fans with an intimate concert inside the Icebergs pool at Bondi Beach, Sydney. This activation, which took place on August 30, was part of the launch of “Bucket. Why Not?”, a live music series presented by Universal Music’s Bring in partnership with KFC. 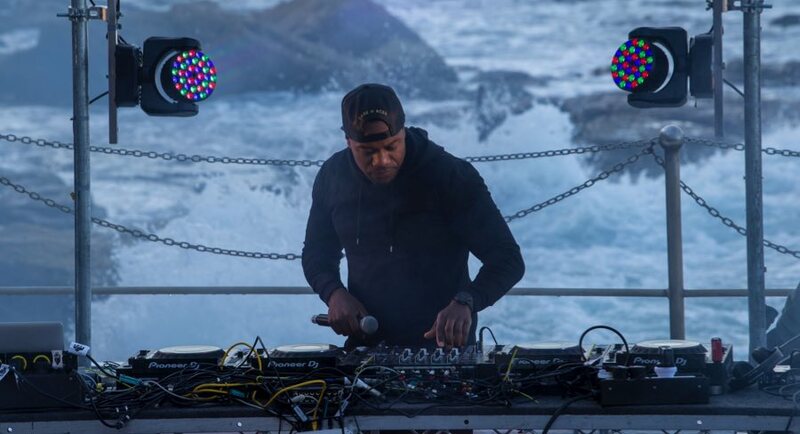 The activation started early in the morning with a call-out from Rudimental on its Facebook page. Fans were guided to KFC in Bondi Junction unaware of the gig venue until the private transport dropped them off at Bondi Beach. The gig erupted when band member Mark Crown led fans down into the pool with a trumpet chorus. The gig was broadcast live on Facebook too. 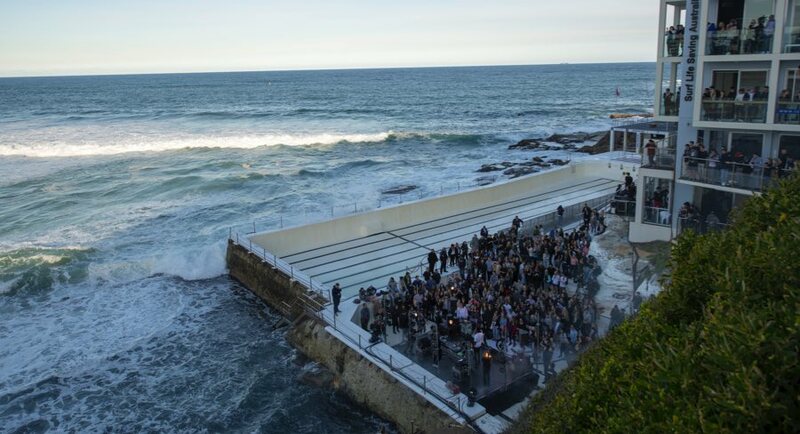 Fortunately the gig was held on a Thursday when the Icebergs pools are emptied every week for cleaning purposes. The series will continue in Australia with more original and in-the-moment experiences in the works. 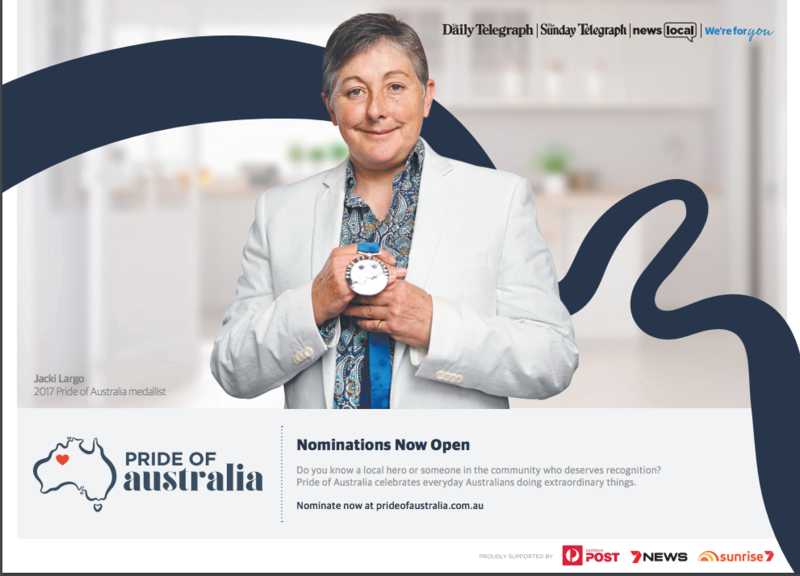 News Corp Australia will partner with Australia Post and Seven News to stage the 2018 Pride of Australia Awards – now in their 14th year. Launching across News Corp’s metropolitan and community newspapers today, the awards seek to unearth and honour ordinary Australians who make an extraordinary contribution to our community – those who are thrust by fate into life and death situations, servicemen and women, volunteers, children who have displayed courage beyond their years, those who have raised untold thousands for charity or selfless individuals who have spent their lives in the service of others. The awards initiative was launched by News Corp Australia in 2005 and has since honoured more than 650 Australians, chosen from among tens of thousands of nominees. Over the years, News Corp has published more than 20,000 stories of remarkable Australians who have made inspiring and selfless contributions to the community. This year, those stories will also be broadcast on Seven News each week and culminate in the crowning of the national Editor’s Choice Award winners live on Sunrise on December 14. 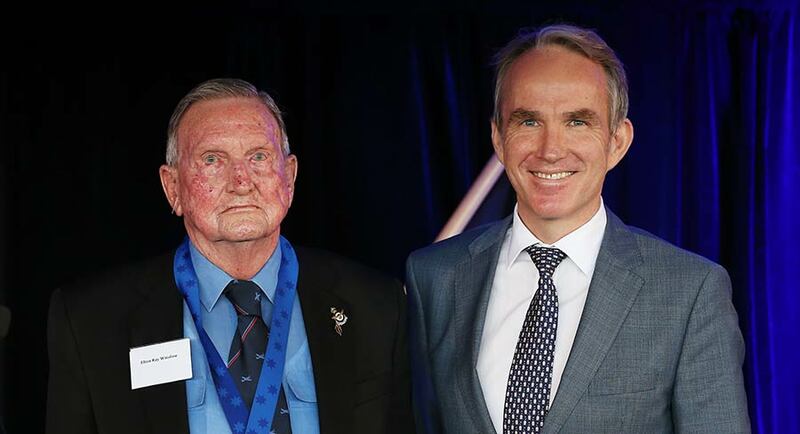 Inspired by the Liberty Medal established by The New York Post in the wake of the September 11 attacks, the Pride of Australia Awards support the notion that there is no greater measure of a society’s strength than its ability to recognise, learn from and reward its true heroes. News Corp Australia’s community ambassador Penny Fowler said: “We are delighted to be partnering with Seven News and Australia Post to recognise inspirational people in our communities who go out of their way to help others. “I encourage everyone to nominate people in their community for a Pride of Australia Award. These individuals are helping build a better Australia for us all – they are the backbone of our local communities. Our readers are constantly inspired by their stories of hope, courage, passion and persistence,” Fowler said. 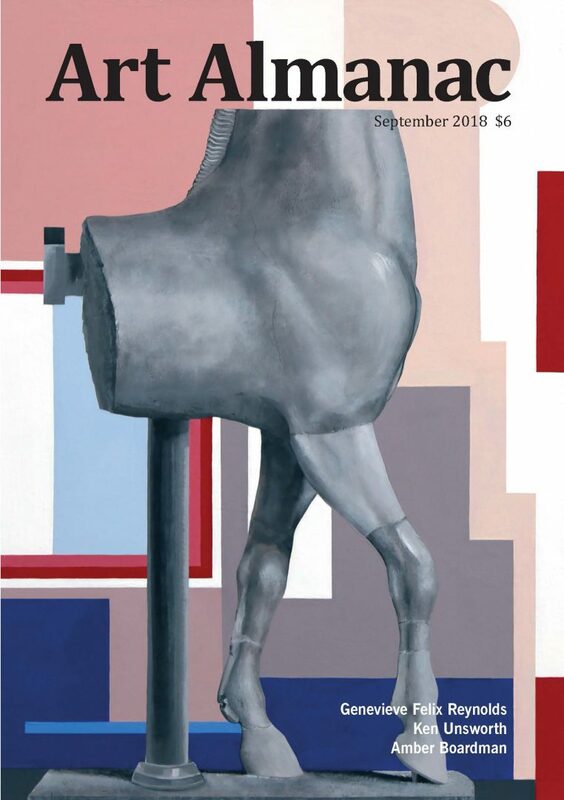 This year’s program launches today. After a seven-week nominations period, judging will take place in early November. Medal ceremonies will be staged in mid-December in each state, and a selection of national Editor’s Choice winners will be revealed live on Sunrise on December 14. Impressive achievement from Dean Lewis again this week as Be Alright sits at #1 for a third consecutive week. Nobody new in the top 10 this week with the biggest challenger likely to be Promises from Calvin Harris and Sam Smith, which jumps from #30 to #14. The biggest mover inside the top 10 was George Ezra with Shotgun lifting from #9 to #6. 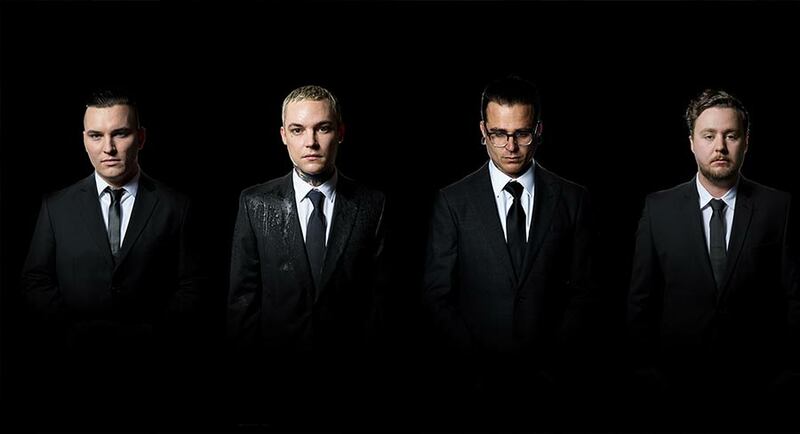 Another remarkable Aussie success story this week with The Amity Affliction debuting at #1 with Misery, which sets a new chart record. The band becomes the first Australian act ever to secure four consecutive #1 albums. This is the group’s sixth album and their earlier chart-toppers were This Could Be Heartbreak (August 2016), Let The Ocean Take Me (June 2014) and Chasing Ghosts (September 2012). ARIA noted that Misery is the eighth Australian #1 on the ARIA Albums Chart in 2018 after Amy Shark’s Love Monster, 5 Seconds Of Summer’s Youngblood, Sheppard’s Watching The Sky, Parkway Drive’s Reverence, Geoffrey Gurrumul Yunupingu’s Djarimirri (Child Of The Rainbow), Kylie Minogue’s Golden and Vance Joy’s Nation Of Two. #9: BTS with Love Yourself 結 Answer (Debut): Latest from the K-pop group. #13: John Williamson with Butcherbird: The artist’s 20th album, yet his first featuring originals since 2014. #15: Alice In Chains with Rainier Fog: The Seattle rock veterans haven’t been terribly prolific. A number of challenges over the years haven’t stopped them though and this is their sixth album since the first in 1990 and the first in five years. #21: Neil & Liam Finn with Lightsleeper sees the father and son just miss the top 20. The album also features Finn family members Sharon, Elroy and Harper, as well as Neil Finn’s new Fleetwood Mac colleague Mick Fleetwood. Finn starts a 54-date Fleetwood Mac US tour on October 3. Sports games with broad appeal tend to do well on these charts, as they’re very much the sort of titles that more casual gamers will pick up in store, rather than purchasing online. 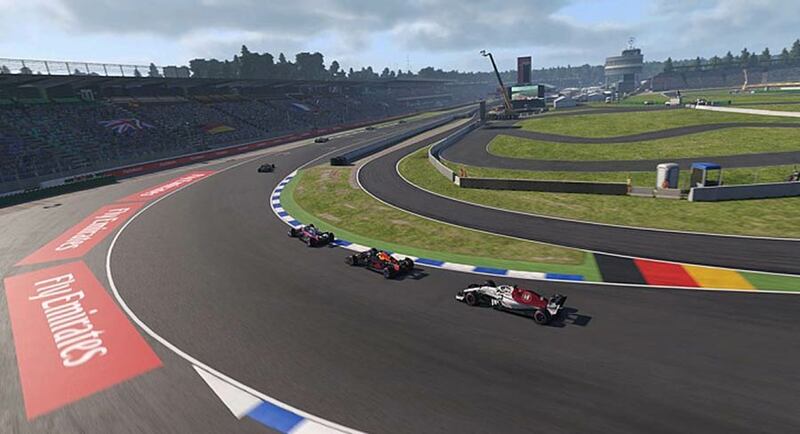 F1 2018 is the latest example, roaring into pole position this week, and offering up the best dedicated F1 game to date. The re-release of action-adventure classics Shenmue I &amp; II also debuted this week. These cult titles were originally released for SEGA’s ill-fated – but much-loved – Dreamcast console around the turn of the millennium. They’re relevant once again because series creator Yu Suzuki has been working on the long awaited Shenmue III after a hugely successful Kickstarter campaign in 2015. The new title has been delayed several times, but is now set for release in August next year. Meanwhile, last week’s number one title – the new World of Warcraft expansion Battle for Azeroth – has dropped out of the all-formats top ten entirely, showing that WoW fans really want to be there on day one when new content drops. It’s still at the top of the PC chart, however, indicating just how few copies need to be sold to register in a format that has almost entirely gone digital (which isn’t represented here). 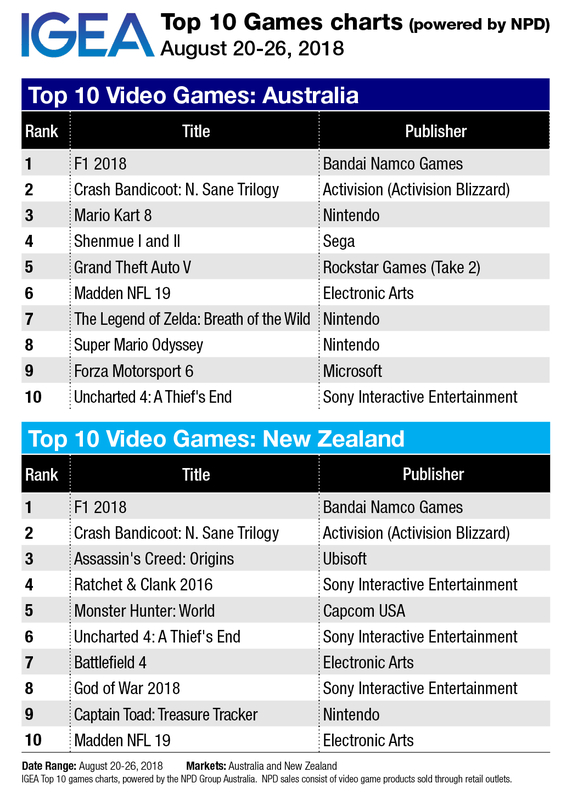 Put another way, in the week this chart covers, Battle for Azeroth was outsold – again, in terms of physical copies only – by a series of games that are between one and five years old (Mario Kart 8, GTA V, Breath of the Wild, Uncharted 4) and yet it’s still at the top of the PC chart. • After a strong week 35 performance, will Nine dominate again? No Sunday AFL any more and Seven News lost its timeslot leadership to Nine last night. Little Big Shots then recorded its smallest audience ever with 719,000 after 864,000 a week ago. Sunday Night then did 539,000 after 532,000 last week. Nine News ranked #1 after 6pm with help from the final day of regular season live NRL before the finals start next weekend. 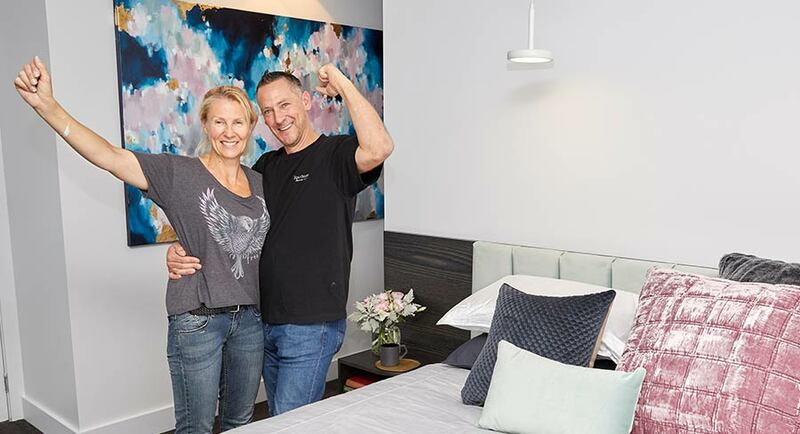 The Block seems unstoppable this year due to a combination of another great season of the renovation format and the absence of competition that engages big audiences on Sunday. 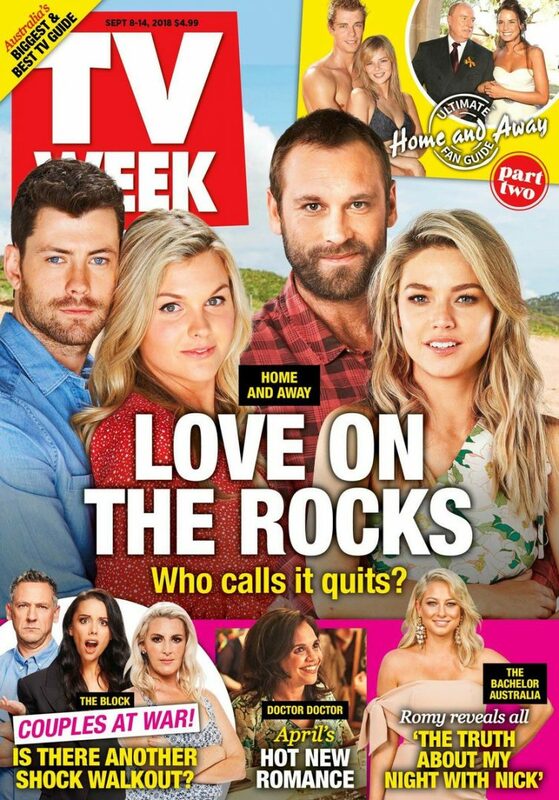 TEN is getting good numbers for Australian Survivor and The Bachelor on weeknights and Seven will be hoping for at least similar numbers when it launches Take Me Out tonight. The Sunday episode of The Block featured the reveal of the master bedrooms and their seemingly even bigger walk-in robes. The episode was on 1.23m after 1.29m a week prior. 60 Minutes then did 783,000 to be well ahead of its Sunday competition. The channel’s best was again Russell Coight’s All Aussie Adventures with 546,000 watching, which was up on last week’s 511,000. The Sunday Project did 307,000 after 375,000 a week ago. TEN screened the movie Get Smart from 8pm with 252,000 watching. A repeat of Joanna Lumley’s India travel series screened after the news with 410,000 watching part one. Episode three of Rake did 522,000 after the series launched with 715,000 and then dropped to 573,000 for episode two. Nine Entertainment has purchased the remaining 40% stake in millennial news website Pedestrian TV, valuing the business just shy of $100 million, making it one of Australia’s biggest ever digital media deals, reports The AFR’s Yolanda Redrup. The TV network, which is also in the process of acquiring a majority share in Fairfax Media, paid $39 million for the remaining 40%, only three-and-a-half years after buying the initial 60% for about $10 million. Pedestrian co-founder Chris Wirasinha told The Australian Financial Review that he and co-founder Oscar Martin would be staying on with the business but would be focused on introducing the right management structure and processes so the brand wouldn’t be “founder-reliant” for long. News Corporation has pulled the pin on the potential sale of its regional newspaper business as the Rupert Murdoch-controlled publisher awaits the shake-out of the merger of Fairfax Media and Nine Entertainment, reports The AFR’s Max Mason. The proposed merger of Nine and Fairfax, publisher of The Australian Financial Review, has moved News Corp to review the sale of its regional and community publishing portfolio, ending discussions with at least two interested parties, and the auction process for now. A News Corp representative confirmed the company was not in active discussions about the sale of its regional titles at this stage. Sources said News Corp does not need to sell its regional business and is interested in what happens to many assets in the combined Fairfax-Nine portfolio should the deal be approved by shareholders and the Australian Competition and Consumer Commission. Fairfax’s regional publishing arm, Australian Community Media, and its New Zealand business, Stuff, are at the top of the list of potential assets to be sold off in a combined Nine and Fairfax. When Peter D Barbey bought The Village Voice in 2015, he vowed to invest in the storied alternative weekly, saying it would “survive and prosper”. But last August he shuttered the print edition, and on Friday he closed the operation altogether, reports The New York Times. The end of the left-leaning independent publication was an anticlimax, given the many empty red plastic Village Voice boxes that have been scattered like debris across the sidewalks of Manhattan in recent years. 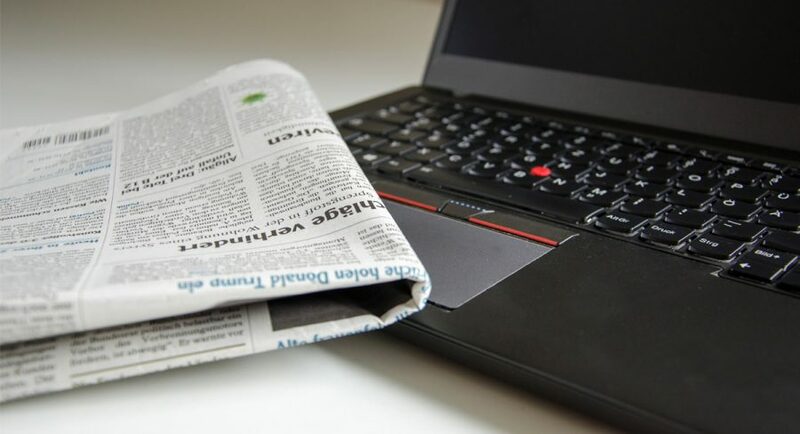 For more than a decade, newspaper publishers globally have struggled to overcome the internet-induced disruption of their once-profitable industry, reports The Australian’s Mark Day. Today there is a hint of salvation from a most unlikely source – gifts. Voluntary donations from satisfied readers have dramatically lifted revenue for British legacy publisher The Guardian, which also publishes online editions in Britain, the US and Australia. This has inspired BuzzFeed News, one of the pioneers of internet publishing, to experiment with the same concept, telling readers that access will continue to be free but donations will be gratefully accepted to enhance its capacity to perform traditional journalism. The Australian reported an operating profit of $700,000 last financial year – a figure that would have been a loss without reader donations. The site’s membership program now has 73,000 readers making regular contributions, plus 30,000 who have made one-off payments. The Australian Financial Review’s readership has increased by nearly one-quarter over the past year as it drives record growth in its digital audience, reports the Fairfax title. Australia’s national business, finance and politics publication experienced a record 23% increase in overall readership through the latest financial year, according to new Enhanced Media Metrics Australia (emma) figures, confirming its achievement as the fasting-growing national news masthead. The Financial Review’s total audience ended the 2017-18 financial year at 1.93 million readers, up more than 360,000 readers on the previous June. The host newspaper’s monthly inserted The Australian Financial Review Magazine recorded a 10% increase in readership per issue to 183,000, according to the emma results. The monthly inserted BOSS magazine held its audience over the year at 100,000, double the readership for The Australian’s The Deal. The Financial Review’s editor in chief, Michael Stutchbury, said the striking growth in the masthead’s digital audience was reflected in double-digit gains in paid digital subscriptions over the past year. The Australian continues as the nation’s most-read weekday national newspaper, with an average of 472,000 print readers a day in June, according to the latest official data. 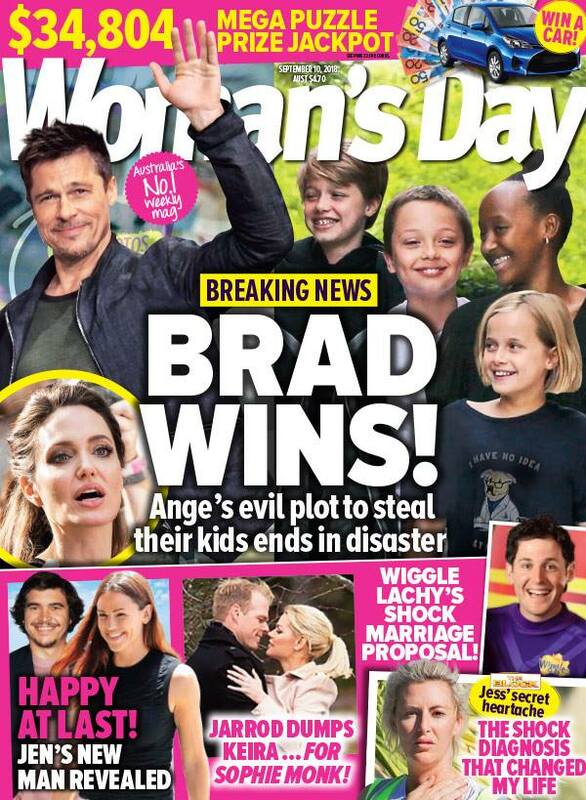 The Weekend Australian’s readership jumped 4.9% in June on the previous year to 598,000 readers, the best-performing metro newspaper in the country, according to the emma data according to the title. The Australian’s business audience continues to grow quickly, up 36.9% Monday to Friday, and 6.4% higher on Saturdays. Sports readership jumped 44.3% Monday to Friday and 8.9% on Saturdays, while Friday’s Aviation section was up 31.3% and Media & Marketing by 29.7%. Legal Affairs jumped 20.9% and Technology 20% – which is the most read weekday section of The Australian. TV legend Kerri-Anne Kennerley concedes she has a “shocking” ratings battle on her hands as the show business veteran makes her return to morning television, reports News Corp’s Jonathon Moran. The 64-year-old has joined panel show Studio 10 on a deal that allows her to work just two days a week. “I have been on the record as saying before that I think the show has such a feelgood factor that if it wasn’t on Channel 10 it would have rated a whole bunch better. “Channel 10 now has a committed owner in CBS and good things are going to happen. Kennerley will join hosts Sarah Harris, Joe Hildebrand and Angela Bishop on Monday and Tuesday mornings. Sky News political editor David Speers has pleaded with the two major parties to make the run-up to the next election about “policy and not personalities” – or risk the rise of a Donald Trump-style Australia, reports News Corp’s Holly Byrnes. As the news channel rolls out across regional Australia, on the free-to-air WIN network for the first time, Speers said political parties risked electoral ruin if they ignored the issues affecting the bush. Last year, Sky News took its flagship programs to broadcast out of 25 different regions in rural Australia – reaching out to the kind of voters Trump won over as “the forgotten people”. 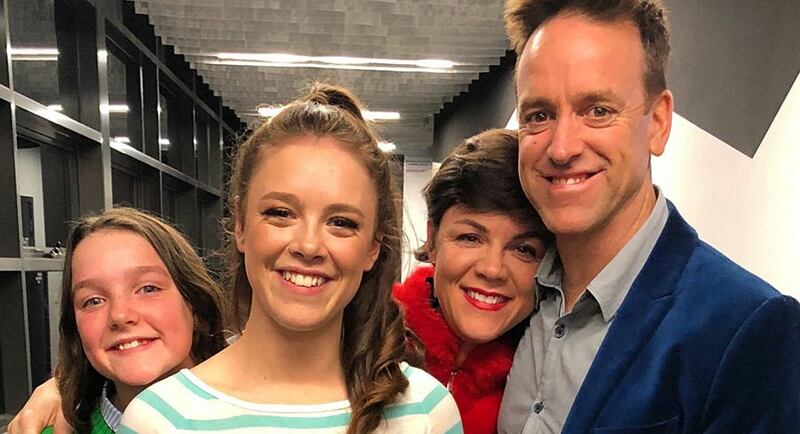 The Block’s Andy Sunderland will host a new kids game show, Smashdown, on Channel 9, which began filming in Brisbane last week, reports News Corp’s Amy Price. Set to air on 9Go! this year, the series will feature children from around Australia competing in sports challenges to become Australia’s No.1 junior all-rounder, and will include cameos by Aussie athletes. The hosting gig is a first for Sunderland, 27, a primary school sports teacher who had been on the hunt for TV and radio jobs since appearing on The Block in 2016 with friend Ben Toyne. While he and Toyne present a Saturday radio show in Geelong and he works as a roving reporter on Kids’ WB, Sunderland said he’d “almost given up on the TV dream”. He’s filming five episodes a day at Nine’s Mt Coot-tha studios, with 150 episodes in total planned. In anyone else’s hands, a dating show where 30 flirty women brutally pick or flick potential partners before a live studio audience could seem like a modern-day version of throwing Daniel into the lion’s den, reports News Corp’s Holly Byrnes. Messy and wrong for the times we’re living in, where social media is the town square and one wrong move in the game of gender politics ends in its victim being stripped bare. But Joel Creasey is no ordinary lion tamer, using his razor sharp wit to cut through political correctness to get the crowd laughing. Fronting Seven’s new shiny-floor dating show, Take Me Out, the 28-year-old Perth-born, Melbourne-based performer did what he does best – throwing caution to the wind, and a few cheeky one-liners, with hilarious results. Take Me Out airs 7.30pm, Monday and Tuesday, on Seven. Nine Entertainment Co is mounting an ambitious campaign to help recoup its $350 million investment in the Australian Open tennis, pitching prospective sponsors packages that would cost between $2.5 and $3 million-plus, reports The Australian’s Nick Tabakoff. Media buyers told The Australian that Open packages being pitched in the past fortnight would cost major sponsors an extra 30% on what they paid when Seven held the tennis rights and charged up to $1.9m. But senior Nine executives are privately saying its 2019 pricing for the January event does not represent an “apples with apples” comparison, because they claim the new Australian Open network is offering sponsors more bang for their advertising buck. The National Rugby League is set to smash revenue and profit forecasts and post a huge surplus of more than $50 million in 2018, fuelled by its massive broadcast deal and better-than-expected commercial income. Rugby league crowds and television ratings have plateaued, but half of the 16 clubs in the competition will at least break even, led by the most financially successful outfit in the competition, the Brisbane Broncos, and the resurgent South Sydney Rabbitohs. The ASX-listed Broncos should make a full-year profit of more than $3 million while Souths, who finished third on the ladder after the weekend’s action, are on target to make a $1.3m net profit for their owners Russell Crowe and James Packer. The Broncos were the only profitable club in 2017. The NRL claim television ratings have risen about 1.1% and crowds have increased almost 3%, boosted by big attendances in Auckland, Newcastle and the Gold Coast on the weekend.